Among the many objectives of the Faith in Cowal project has been the attempt to make St Munn’s Church at Kilmun a central part of the pilgrimage landscape. It was probably the most important church in southern Argyll in the Middle Ages, and this was only enhanced by its close association with an important saint, Fintan Munnu, and his relics, not to mention the Campbell earls (later dukes) of Argyll. But one of the most exciting features of this church is the fact that archaeology on the site shows that it is centuries older than its Campbell associations. 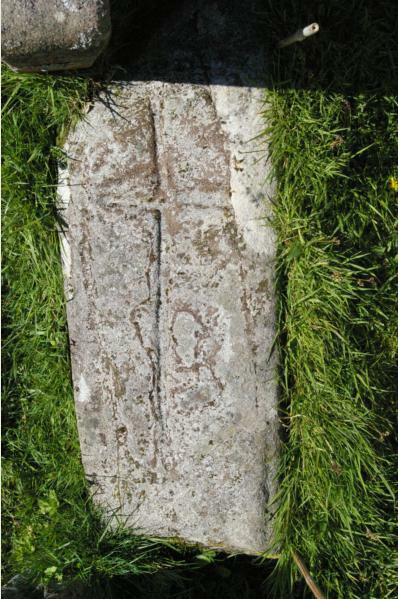 A carved cross found in the graveyard may date from as early as the sixth or seventh century. It has been lying in the grass, being worn away by weather, being driven over by grass-cutting machines, for a long time. Recently this sad state of affairs has been rectified. 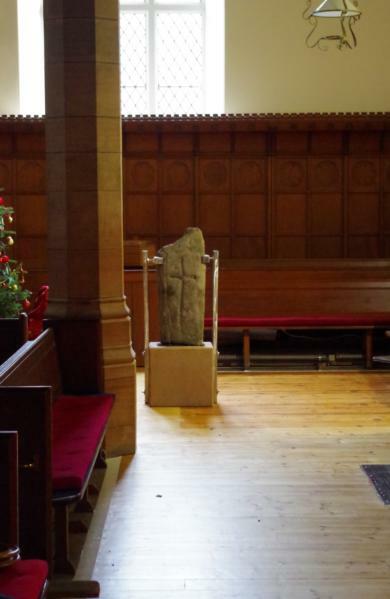 With the help of masons and stone-conservators James Innes and Sons, the cross-slab has been brought inside the Church. Sheltered and protected, it has also been given a significant position within the church. The first thing the visitor sees on entering the sanctuary through the glass door is, lit up by a spot-light specially installed, this ancient carving. The pews have been cleared from the eastern wing to allow this stone to speak to us, to the congregation and to visitors. It speaks and of Christ’s death and resurrection. It speaks of our belief that in him ‘love is stronger than death’. And it speaks of the many many generations of men, women and children who have been guided by this belief over the centuries. The Kilmun cross-slab now stands in the east of the church, on its plinth of Birchover stone. When you visit this part of Argyll, be sure to pay a visit. A little booklet to aid our reflection in the presence of this cross will shortly appear on the seating in the area around it.